Edmund joined the company in January of 2017 and has been working with the patent databases, drafting and filing of patent applications on life science, health care and bio technology inventions and utility models. He received a Bachelor’s Degree in Biological Sciences from the faculty of Science in 2012 at the Usmanu Danfodiyo University, Nigeria. He has worked in medical research in Nigeria. For better understanding of real market rules and values, he obtained experience in one of the leading financial institutions in Nigeria where he was head of the marketing team. As a Patent Agent, Edmund conducts correspondence with clients, makes patent searches, manages annuities records and develops the online platform for annuities. 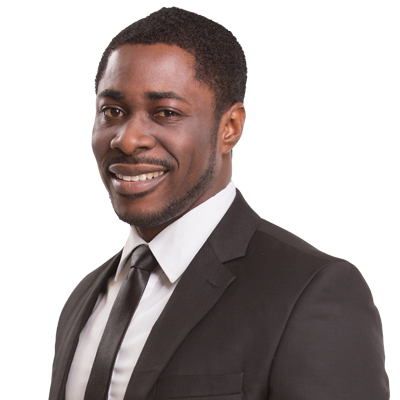 Edmund works with patent cases within the CIS and Eurasian region. He is passionate about his job and looks forward to creating better relationships between the company and its numerous clientele. His hobbies include playing rugby, working out in the gym and reading books on business.